Despite having lived in Scotland for the first 21 years of my life, I've never been to Aberdeen - I lived in the Lowlands, and just never had reason to go. So imagine my surprise to discover that Aberdeen also exists in Hong Kong. There's actually a lot of places here named after places in the UK, but Aberdeen was the first place that the British landed in Hong Kong, all those years ago (don't ask me the exact date). It's a popular tourist site these days, as it was one of the oldest fishing villages, and you can still see lots of boats coming in and out its harbour every day. The local boats are called sampans and there are now dozens of them offering tours around the floating village in the harbour (many people live on boats moored here). Aberdeen is also home to Jumbo Kingdom, the largest floating restaurant in Asia. And I finally visited the area last weekend, after at long last getting my camera back from the repair centre! Aberdeen used to only be accessibly by bus or boat, but there is now a new MTR line which goes all the way to Ap Lei Chau (formerly known as Aberdeen Island, though the village isn't actually on it, but instead nearby on Hong Kong Island). The closest station is Wong Chuk Hang, from which you can get a bus to the village, or take a bus all the way from Central. I actually walked from Wong Chuk Hang down to Sham Wan pier, which is where you will find the best view of Jumbo Kingdom, floating out in the harbour. This pier is filled with modern yachts, which I wasn't expecting at first, given that Aberdeen itself is much more old-fashioned. The restaurant is a little far from shore to be able to see it well, so I jumped on the free shuttle ferry from the pier to the restaurant. There a couple of decks inside, so as far as I could tell there were two separate restaurants in there, but it's entirely possible to visit the structure without going in to eat. That's what I did anyway, taking a bit of time to admire the decorative exterior and the detailed wall art inside. There's a second shuttle ferry from Jumbo Kingdom to Aberdeen itself, which is a little further away than Sham Wan, which is what I took. The ferry ride was nice, as it was such a sunny day and the water was so blue. It allowed me to see the boats in the harbour up close, without paying for a sampan ride, which I wasn't intending to do anyway. Ap Lei Chau was to my left, and Aberdeen on the right, and both had plenty of Hong Kong's iconically tall skyscrapers lining their shores - I didn't cross to the island, but as far as I know, Ap Lei Chau is mostly residential with a few modern shopping centres around. The harbour was filled with all sorts of boats - modern yachts, larger shipping vessels, the popular sampans, and tiny little fishing boats - and it's not that wide, so it felt quite busy, and there was lots going on to look at. The ferry took us all the way to far end of Aberdeen, maneuvering between the boats moored there to drop off at the promenade. Initially I had thought I'd check out the promenade and harbour, before heading into the village itself to find the bus stop. However, the ferry ride made it clear that the promenade wasn't all that long, and walking its length would take me almost halfway back to the MTR I'd started from. So, that's what I did instead. It meant I didn't see the centre of Aberdeen, but everything I'd researched online beforehand suggested that the promenade and harbour were the main reasons to visit, so I doubted I'd be missing much. 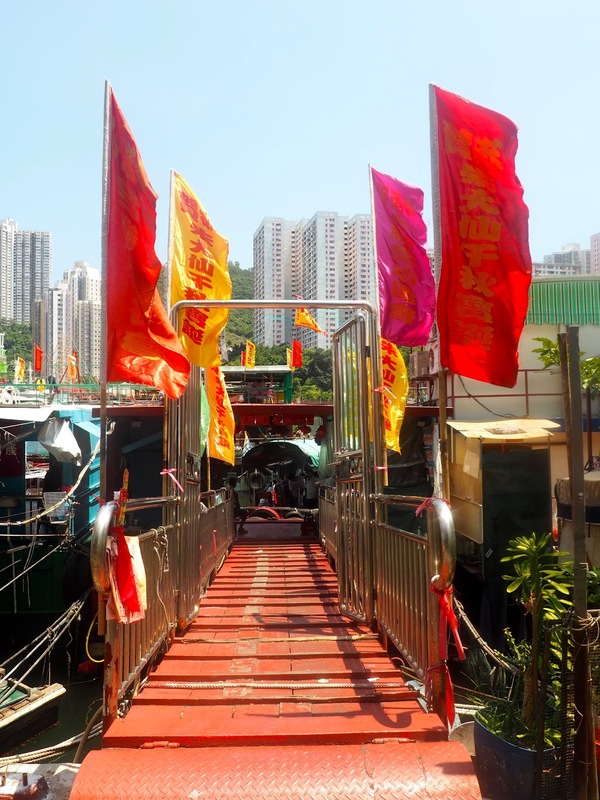 As I began my walk down the promenade, underneath a very hot sun that day, I was immediately greeted by a couple of ladies sitting by the docks, asking if I was interested in a sampan ride; I wasn't planning to, but for anyone else visiting who does want to, it won't be difficult to find one! I shook my head and continued on. The promenade to my left was full of greenery and benches, an outdoor sitting area for locals and tourists alike. To my right were the docks, which ran along this first portion of the harbour, before lessening off as I continued. They were crammed with boats, making it nearly impossible to see the water beyond them. In some cases, the walkways and small buildings on them made it a little hard to see the boats themselves beyond them, which was a little frustrating from my photographic perspective too - I could see why the sampan rides may be worthwhile, and they would likely also take you amongst the boats on the far side of the harbour too. 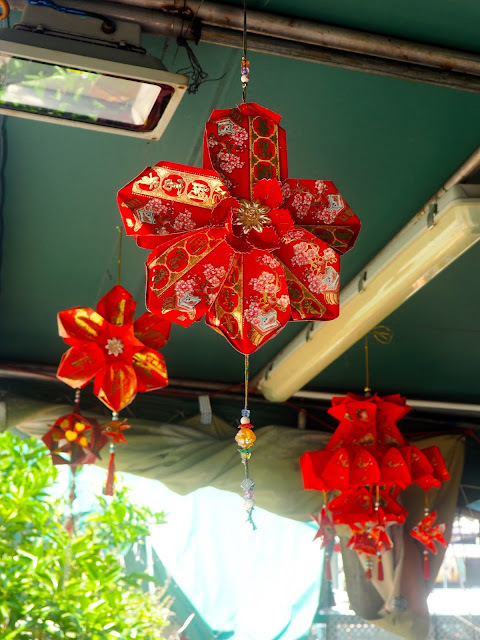 I continued on anyway, marvelling at what I could see; there was so much going on, so many boats in all different colours, many of which appeared to be homes, with laundry hung up to dry on their walkways, or decorations strung overhead. 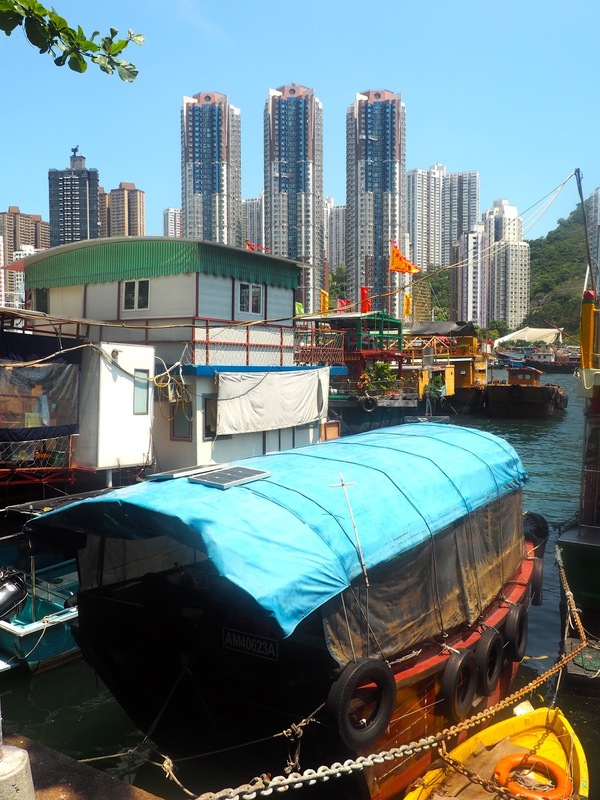 It all felt like a much older, more traditional part of Hong Kong, as the modern yachts could only be glimpsed as they sailed past, and the majority of the boats moored here were older, simple fishing boats and sampans. There were also ferry docks with services to the Outlying Islands, including Po Toi, Cheung Chau and Lamma, though I almost didn't spot them at first, in amongst the crowded docks. Further along the promenade, the docks disappeared, so I could get a clearer view of the boats sailing in and out of the harbour. There were various signs along my way, which gave some history about Aberdeen, including the fishing, it status as the British landing point, and the dragon boat races here. There were also statues to my left, depicting traditional aspects of the village life, mostly featuring people with large baskets of (I assume) fish. The shore here is lined with huge flags too, pink and yellow, and there was a good breeze and bright sunshine that day, so they looked very pretty fluttering in the wind, blue skies and a harbour of boats behind them. I took my time along this part of the harbour, stopping to watch some of the boats going by, including the same Jumbo Kingdom ferry I'd sailed up on myself. There were several sampan stops along here too, with the tour route advertised next to them, and the Big Bus sampan, included in your ticket for said bus tour. From here I could also see the bridge connecting Hong Kong to Ap Lei Chau, which wouldn't be the most exciting thing on its own, but the new MTR line now crosses it too, so I could see the train whizzing overhead. I was heading back in the direction of Jumbo Kingdom now, which became visible beyond the bridge, as did some of the Ocean Park rides, built on the hillside beyond - my geography had failed me here, as I'd completely forgotten that I'd seen Aberdeen from above before, from those same rides in Ocean Park (the Mine Train is the one that overlooks this area, and was visible from below). Eventually I had to peel away from the shore, to follow the road back towards the MTR. It was probably around a 15 minute walk from here, and easy enough to just follow the main road back towards the Wong Chuk Hang station. I did stumble upon some pretty cool street murals along the way too, a nice surprise to finish! As I said, there are buses between here and Aberdeen for those who don't want to walk it; it was a very hot day, so I was glad it wasn't any further than that! 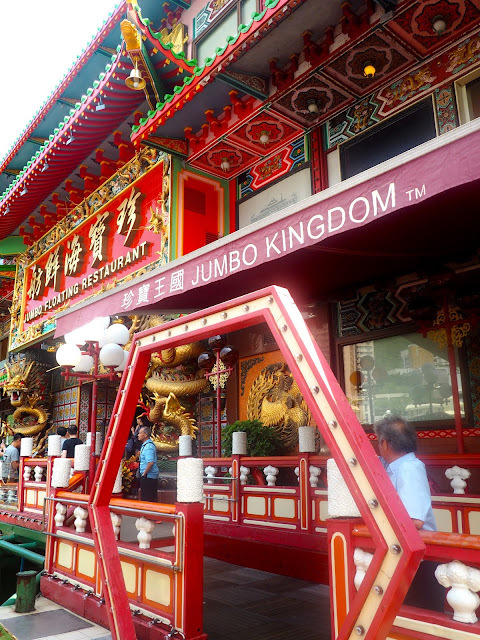 I only spent a couple of hours in Aberdeen in total, including the ferry rides, but it would be easy to turn it into a whole afternoon, if you ate in Jumbo Kingdom and chose to do a sampan tour. I was happy to just walk in the sun, watch the boats, and snap photos with my (newly repaired, makes me so happy!) 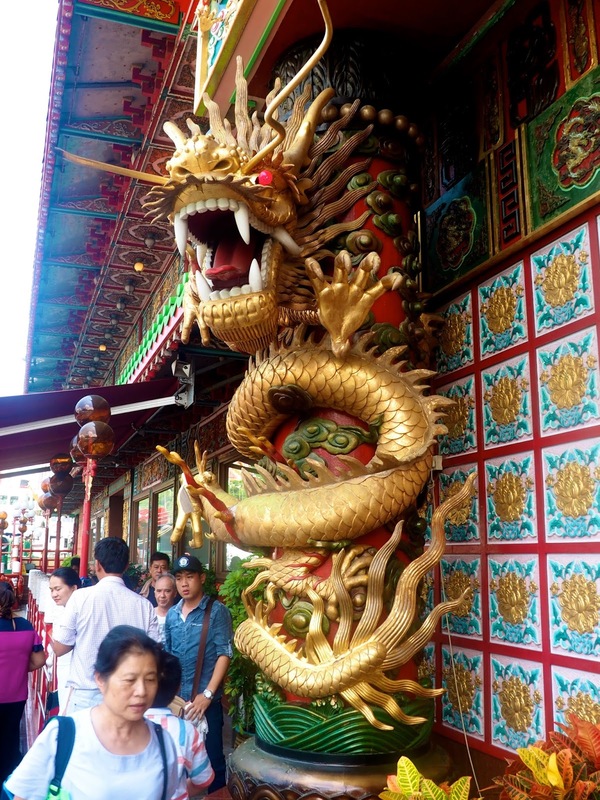 camera of these glimpses into Hong Kong's days gone by.